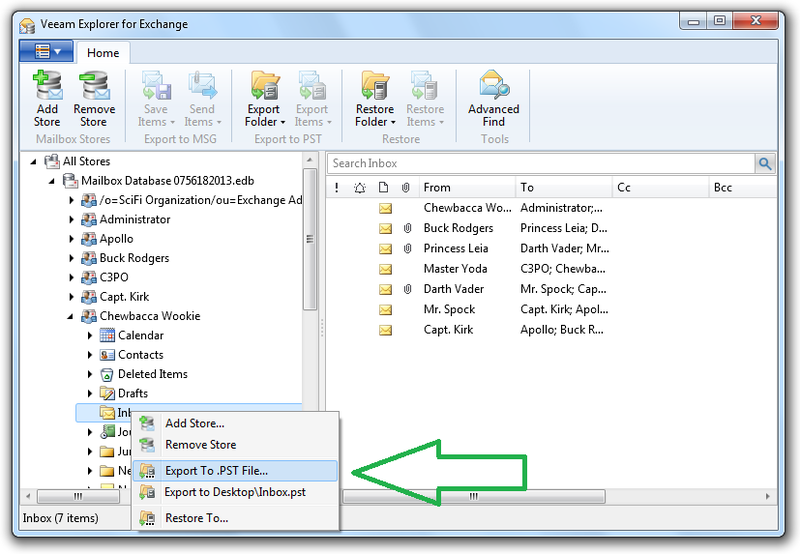 In the previous post, How-to: Free Exchange discovery tool helps admin, I described how to make a quick, easy and free e-discovery in a Microsoft Exchange database. In a similar way, you can recover any deleted email or item from the .EDB. Let’s take a closer look. There is a market for paid Exchange recovery tools where it is possible to restore single mailbox items from the raw Exchange database (.EDB); however their price is very high. 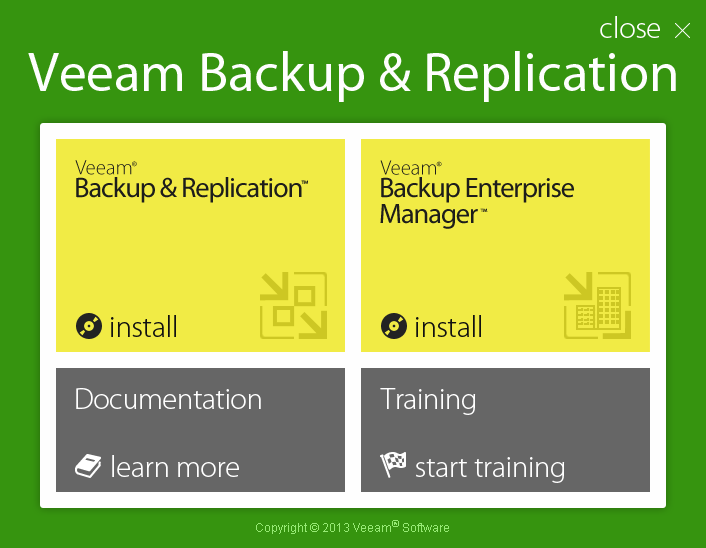 You can get similar granular recovery with Veeam for free. If you’ve got a problem with your Exchange Server, Veeam Explorer for Microsoft Exchange can help recover mailboxes, messages, contacts, folders, tasks and other individual items. Follow the step-by-step guide below. 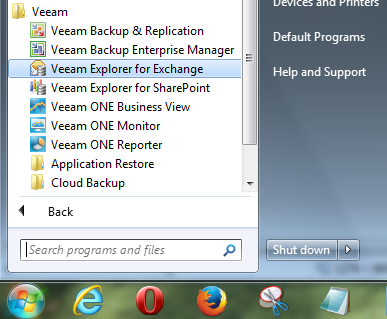 Note: If this is not the first time you run Veeam Explorer for Microsoft Exchange, you can skip steps #1 and #3. Step 2. For most situations, we would take a VeeamZIP backup. A VeeamZIP backup is a full image-based backup of your Exchange Server running as a VMware or Hyper-V VM; and from there Veeam can do a number of restore scenarios – including running Veeam Explorer for Exchange. This is the intended use case of Veeam Explorer for Exchange – but there are plenty of other ways to use the tool. Step 3. Go to the main menu and Launch Veeam Explorer for Microsoft Exchange which was installed as a standalone component of Veeam Backup Free Edition. Step 4. Now you need to make a quick configuration of Veeam Explorer for Microsoft Exchange. In the menu, select Options and specify the path to the ESE.DLL library which is used to query the Exchange .EDB database. This file is included into the installation package of Microsoft Exchange Server, so you can find it on the installation CD. Step 5. 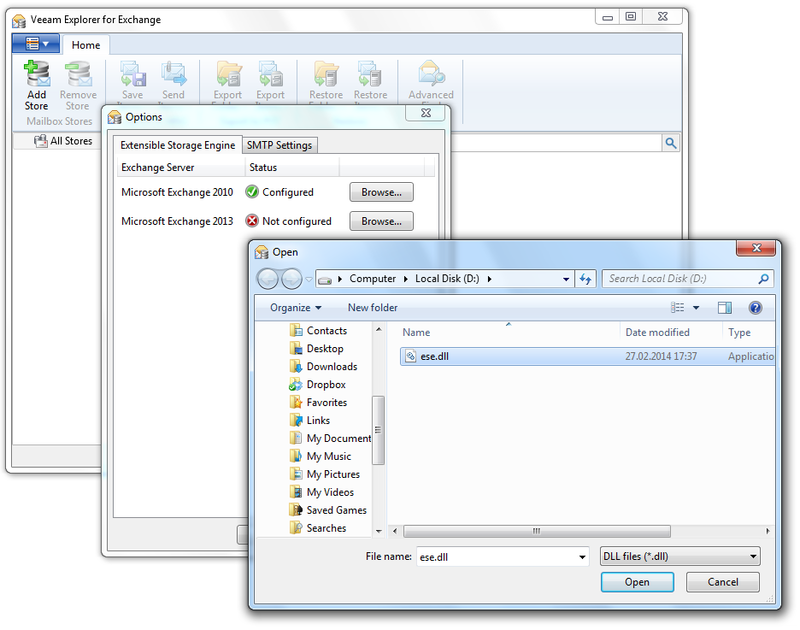 Extract the Exchange database (.EDB) from your physical or virtual backup to somewhere. Point Veeam Explorer for Microsoft Exchange to that file. 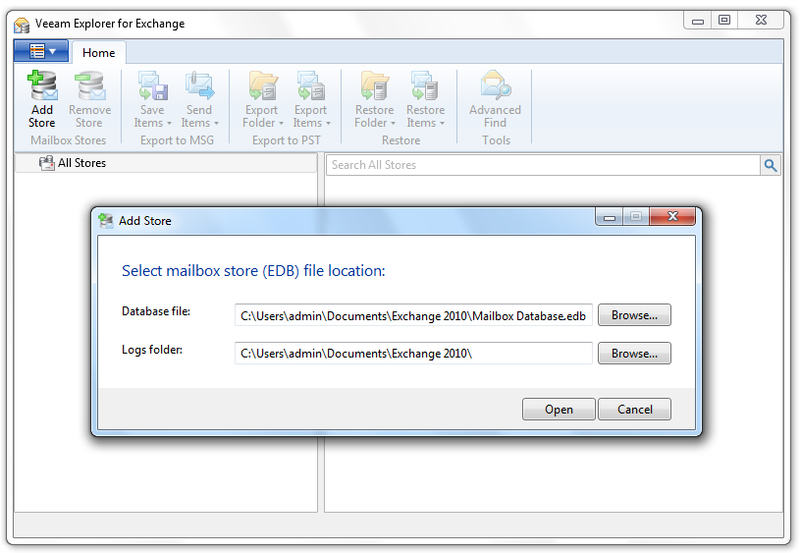 To do this, click Add Store in the main menu and specify the paths to the restored Exchange database (.EDB) and logs folder. All of these options are available for free. If you use a licensed version of Veeam Backup & Replication (Enterprise or Enterprise Plus edition), you can also recover Exchange mailbox folders and individual items to the production server. Select a folder you want to recover in the navigation panel on the left. Right-click and choose the Export To .PST File… command. Specify the location where you want to store the new .PST file with the recovered folder. I hope this free Exchange mailbox recovery tool will help you avoid buying things you don’t need and save you time. If you find this useful, let me know and leave a comment below, tweet it, share on Facebook, LinkedIn or Spiceworks.